Dylan was born and raised in the mountains of Southern California. Having a passion for healthy living and an active lifestyle, he dedicated his life to pursuing this way of living. With a background in wrestling, rock climbing, martial arts and health and fitness, Dylan found yoga to be a culmination of everything he loves. He was first introduced to yoga through his martial arts training in 2001. Dylan started teaching yoga in 2011 after 10 years of advanced movement training. He has since lead teacher trainings and workshops all over the world and is a globally recognized yoga instructor. Dylan looks to bring awareness through motion and balance, to find strength in flexibility and bring union between the body and soul. His style is fun, energetic and challenging. He believes that strength, balance, flexibility and health are achieved every time we step on the mat and it is the beauty of yoga that helps us translate that to our everyday lives. Today's class focuses on strengthening and opening the shoulder girdle as well as opening up the front body. We will play with some fun dolphin transitions and funky arm balances. We will kick gravity's a$$. Bring it back to the basics in this intense class. We will play with getting deeper into the foundational poses, really focusing on the alignment and engagement of how to properly do each posture. We also play with side plank variations and crow to headstand. Cuz, y'know, that's how we roll. Backbends are progressive and it takes time to prepare the body to go into the deeper backbends. This class will bring you through a series of postures to open the back, shoulders, hip flexors and psoas so that we can safely get into some of the deeper heart openers. Who's ready? Open the body with deep, challenging, "open twist" poses in this creative, dynamic class. Lots of opportunities for handstands, arm balances and transitions, as well as some intense stretchy poses like compass pose, full splits or visvamitrasana. Bring strength, control and balance together in this fun, creative flow as we work through a Warrior I inspired sequence. Lots of opportunities for handstands if that's your jam, as well as plenty of knee-in Chaturanga push-ups and crow push-ups. This class is guaranteed to leave you feeling stronger and balanced. Join me in this energetic and strong flow. It starts out nice and slow with a great warm up, loosening up the outer hips, side body and back, followed by a fun flow with freedom to let loose and fly (if you want to). You'll be surprised at what you can do in less than an hour! This is a short but very challenging class. We will work deep into the hips and hamstrings, by strengthening and lengthening in this fun and powerful flow. There are lots of opportunities for Handstands and arm balances, including Tittibhasana, Eka Pada Koundinyasana 2 and Visvamitrasana! This is a fun advanced vinyasa flow class that will give you lots of freedom to play with handstands and arm balance options. 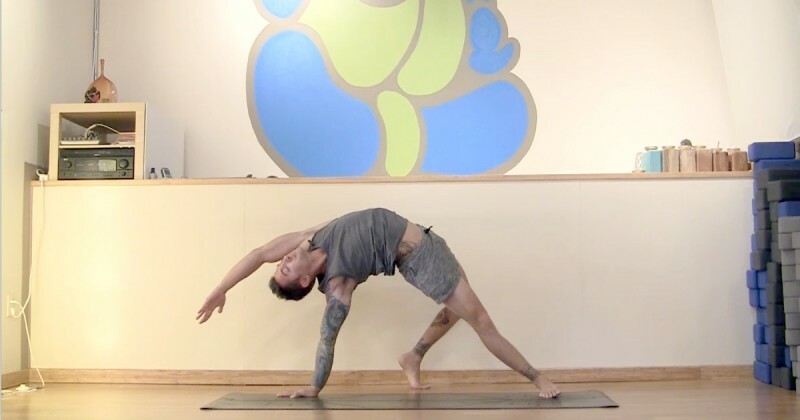 This flow will work you through your outer hips, standing balance poses and engaged twists. Lots of emphasis on core strength, balance, fun new transitions and a few good booty burning moves.